Expand your horizons. Travel the world. Qualify for well-paid teaching jobs in almost any country. MA Teaching English to Speakers of Other Languages (TESOL) is a well-respected qualification, and will enable you to access reputable and high-paying teaching roles in almost any country. You will develop an in-depth theoretical knowledge of the English language, and develop all the skills you need to be an effective teacher. You will be taught via lectures, seminars, practical tasks and independent learning activities. Your progress will be assessed with written assignments, teaching observation, oral and written presentations, and your dissertation. Compared to an undergraduate course, you will find that this Masters degree requires a higher level of independent working. However, you will have a high level of support from staff throughout your degree. A full-time version of this course is also available. Please note that modules may vary from year to year. Some modules have prerequisites. Read more about what this means in our Help and Advice article. Our libraries have thousands of books and e-books on language topics. We also subscribe to a comprehensive range of print and electronic journals so you can access the most reliable and up-to-date academic articles. An important resource for TESOL students is the EBSCO Professional Development Collection, which provides access to full text articles for TESOL. You'll be taught on the Sir Tom Cowie Campus at St Peter’s - a modern and vibrant campus with a riverside view. The Sir Tom Cowie Campus at St Peter’s is nestled between the River Wear and the sea, just two minutes from the coast, and set in expansive green space on the banks of the river next to the historic St Peter's Church. This provides a picturesque backdrop and a great location for travelling to the beach or the city centre. Applicants whose first language is not English must achieve a minimum IELTS band score of 6.5, with no less than 5.5 in any element. The fee for this course is £361 per 10 credits. Please note that this part-time course is not available to international students who require a Tier 4 visa to study in the UK. 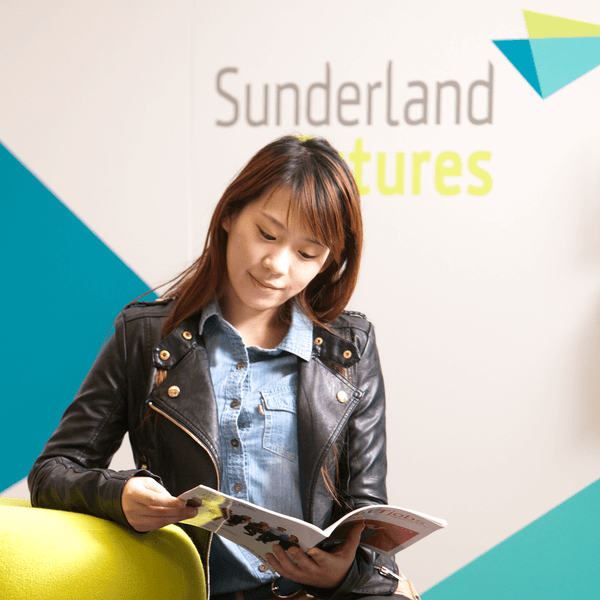 If you are unsure whether you qualify as a UK, EU or international student, find out more in our Help and Advice article. A TESOL qualification is an essential qualification for many overseas teaching jobs. Other career options can include senior roles in educational institutions, educational advisers, and educational inspectors. You will find that possessing a Masters postgraduate degree will also support a career in other fields, as employers recognise the higher levels of research, analysis and communication that a postgraduate degree requires. The academic staff were always there for us, ready to offer their professional support.